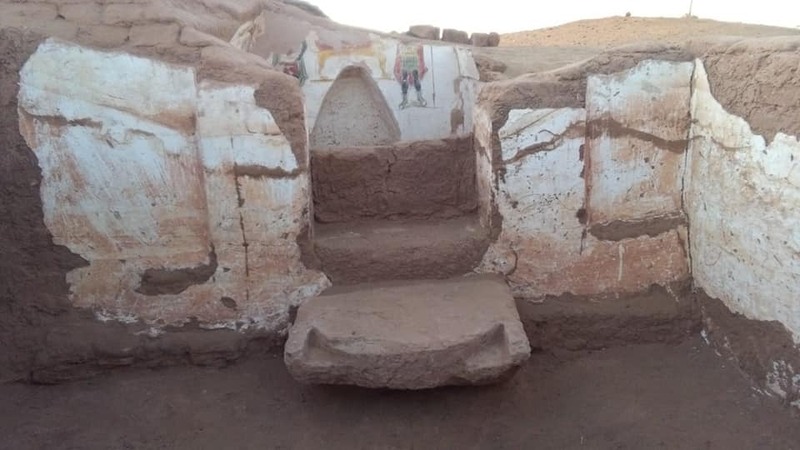 Two Roman tombs have been revealed amid unearthing work at Beer El-Shaghala site in Mut town in Dakhla Oasis. The dividers of the two uncompleted tombs are painted in splendid hues with religious scenes. Mostafa Waziri, the secretary-general of the Supreme Council of Antiquities, clarifies that the main tomb has a 20-step staircase secured with mortar, which prompts a local made of limestone. The fundamental lobby of the tomb is made of mud block with a vaulted roof that is incompletely demolished. Its northern divider has two entombment chambers containing a gathering of human skulls and skeletons just as mud lights and pots. 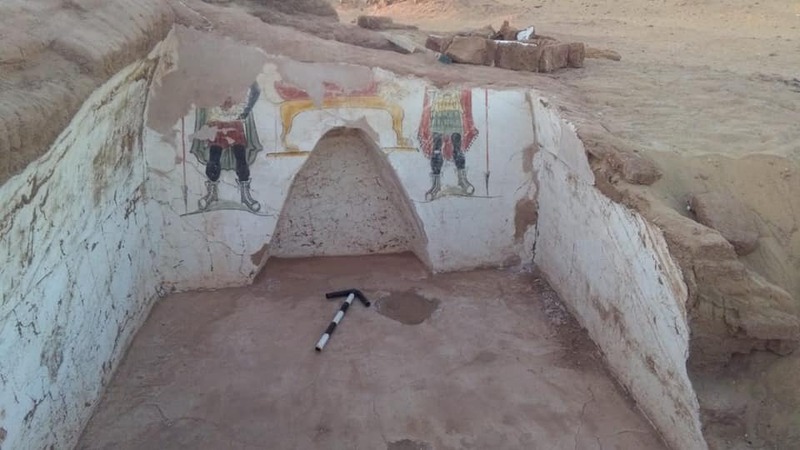 Aymen Ashmawi, the leader of the Ancient Egyptian Antiquities Department, said that the second tomb has a funerary hallway that prompts a vaulted chamber on its northern divider, which holds a specialty engraved with a painted scene delineating the preservation procedure. Ashmawy included that 10 different tombs were as of late revealed in the zone. They have an exceptionally recognized building style, with pyramid formed rooftops and every tomb comprising of a few dimensions.